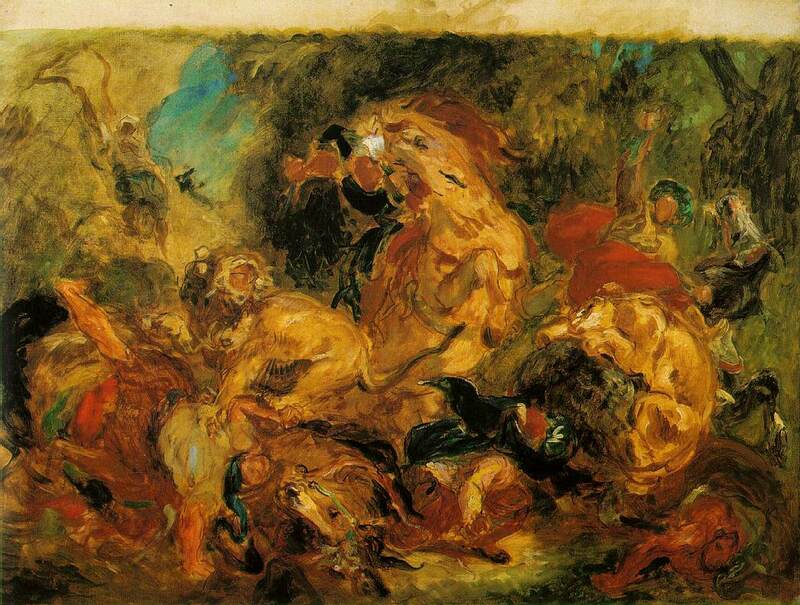 Delacroix, Eugène, in full FERDINAND- VICTOR-EUGENE DELACROIX (b. April 26, 1798, Charenton-Saint-Maurice, Fr.--d. 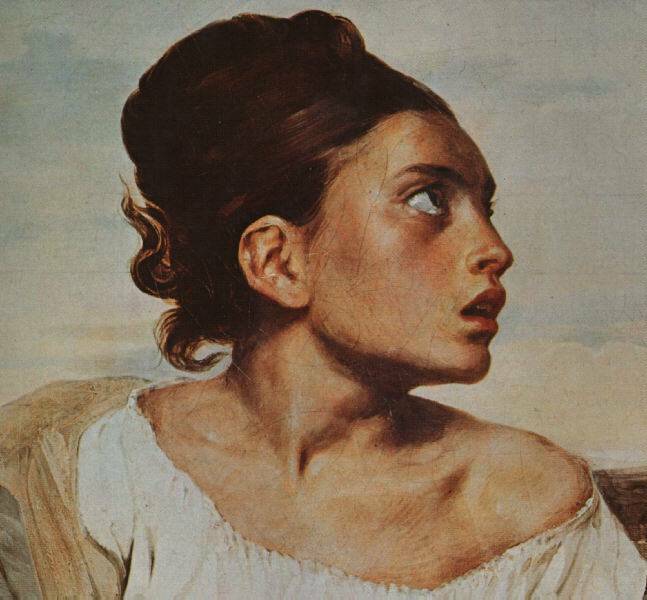 Aug. 13, 1863, Paris), the greatest French Romantic painter, whose use of colour was influential in the development of both Impressionist and Postimpressionist painters. 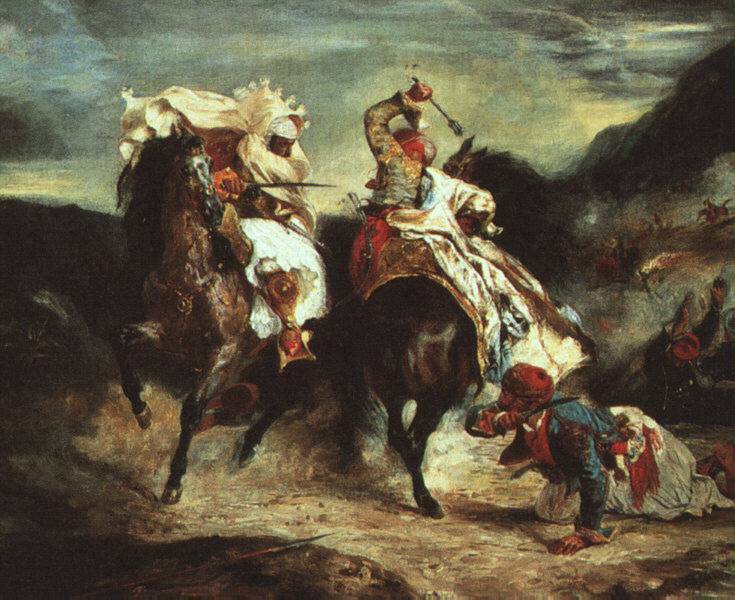 His inspiration came chiefly from historical or contemporary events or literature, and a visit to Morocco in 1832 provided him with further exotic subjects. 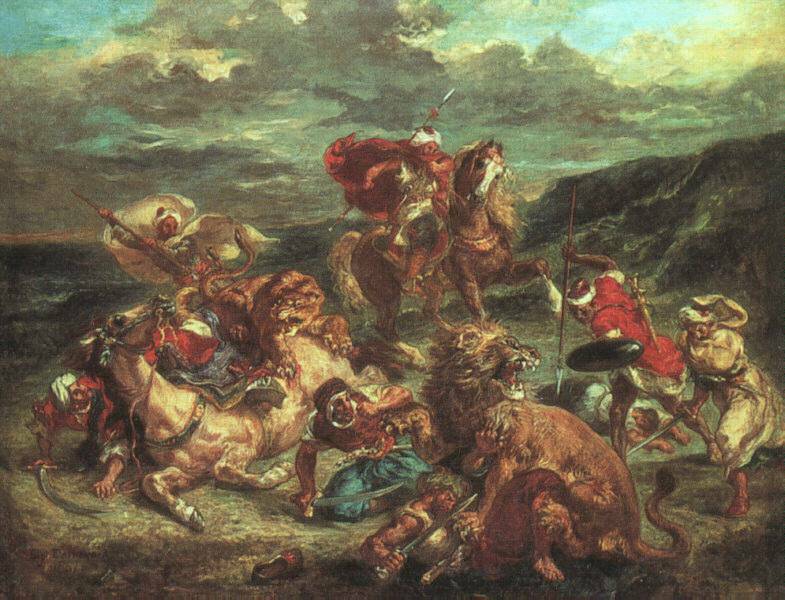 Ferdinand-Victor-Eugene Delacroix was born on April 26, 1798, in Charenton-St-Maurice, France. 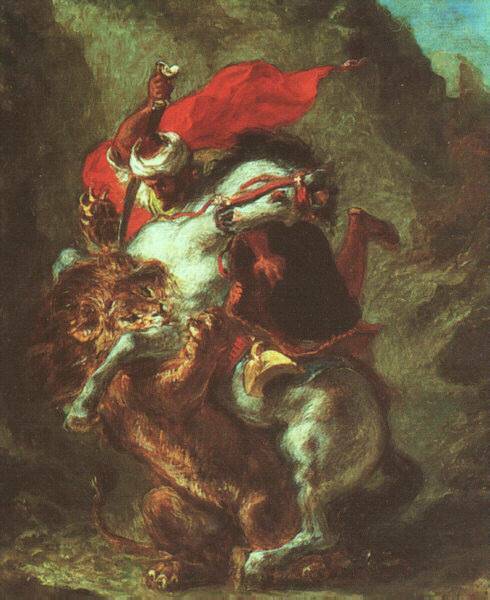 In 1815 he became the pupil of the French painter Pierre-Narcisse Guerin and began a career that would produce more than 850 paintings and great numbers of drawings, murals, and other works. 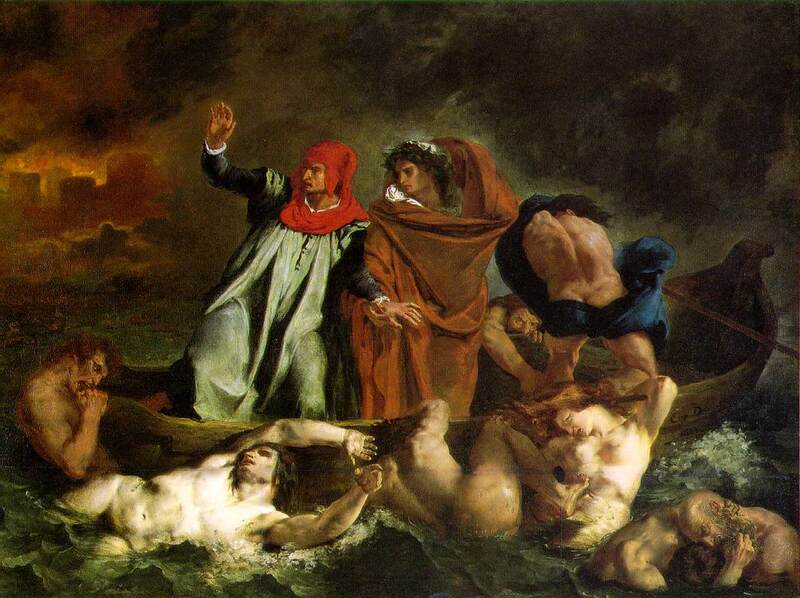 In 1822 Delacroix submitted his first picture to the important Paris Salon exhibition: Dante and Virgil in Hell . 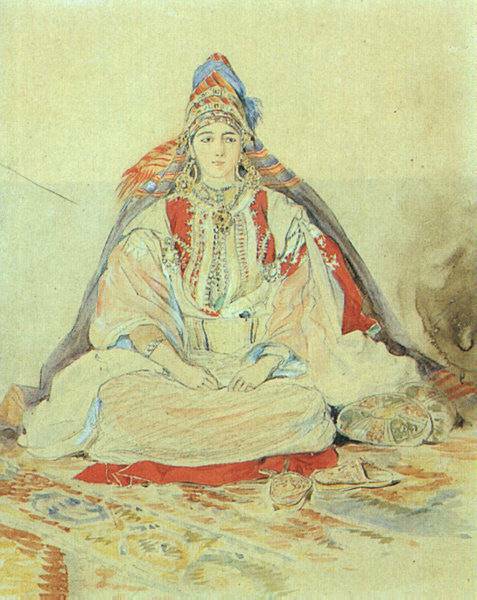 A technique used in this work--many unblended colors forming what at a distance looks like a unified whole--would later be used by the impressionists. 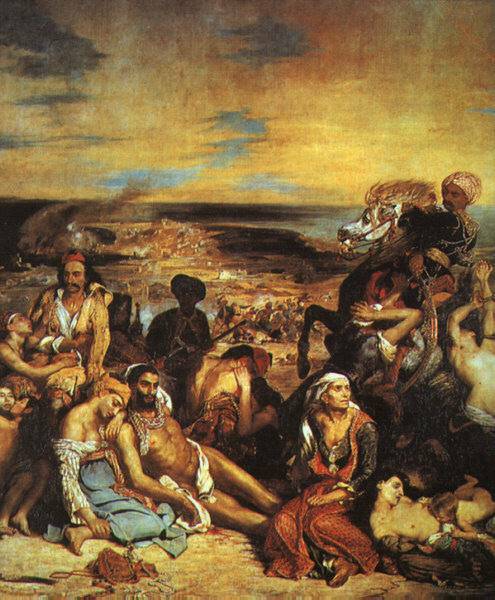 His next Salon entry was in 1824: Massacre at Chios . 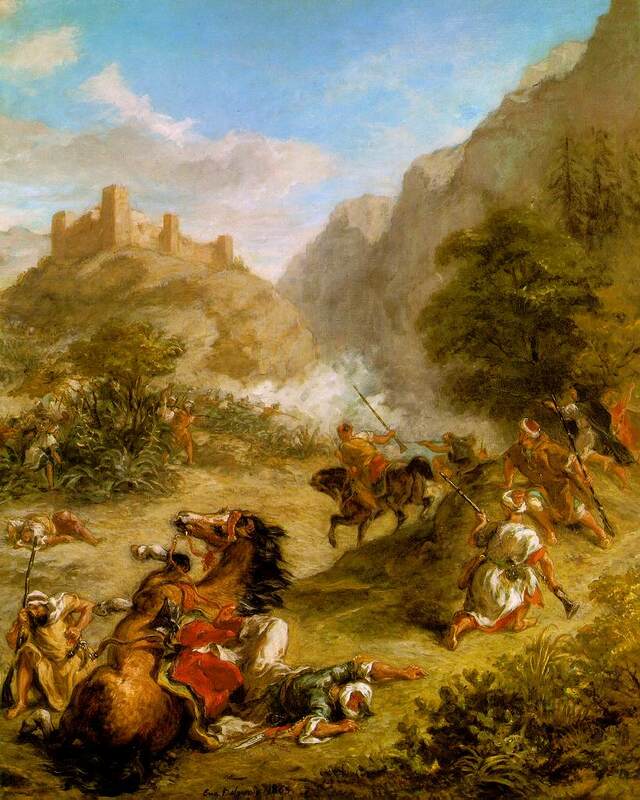 With great vividness of color and strong emotion it pictured an incident in which 20,000 Greeks were killed by Turks on the island of Chios. The French government purchased it for 6,000 francs. 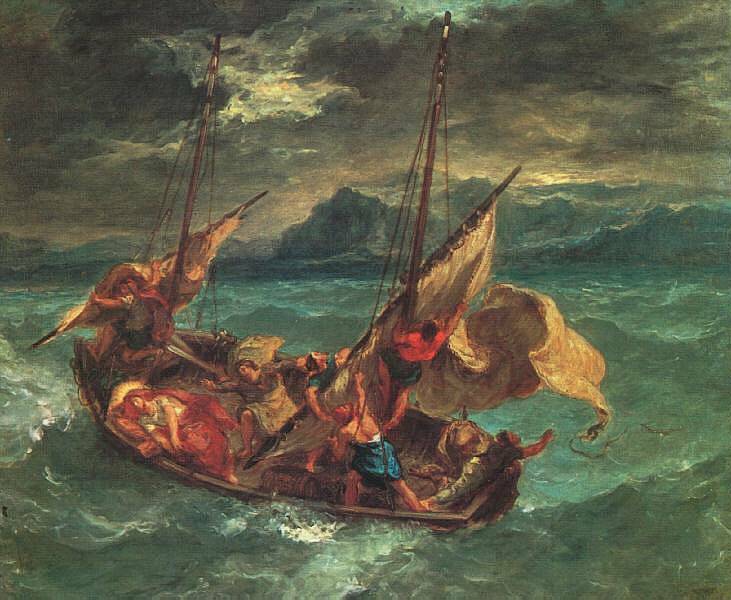 Between 1827 and 1832 Delacroix seemed to produce one masterpiece after another. 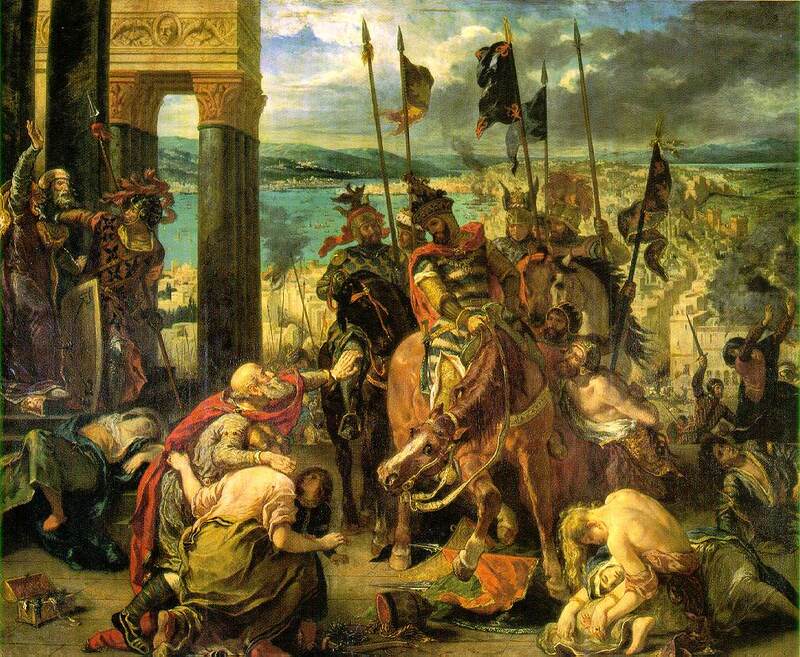 He again used historical themes in The Battle of Nancy and The Battle of Poitiers . 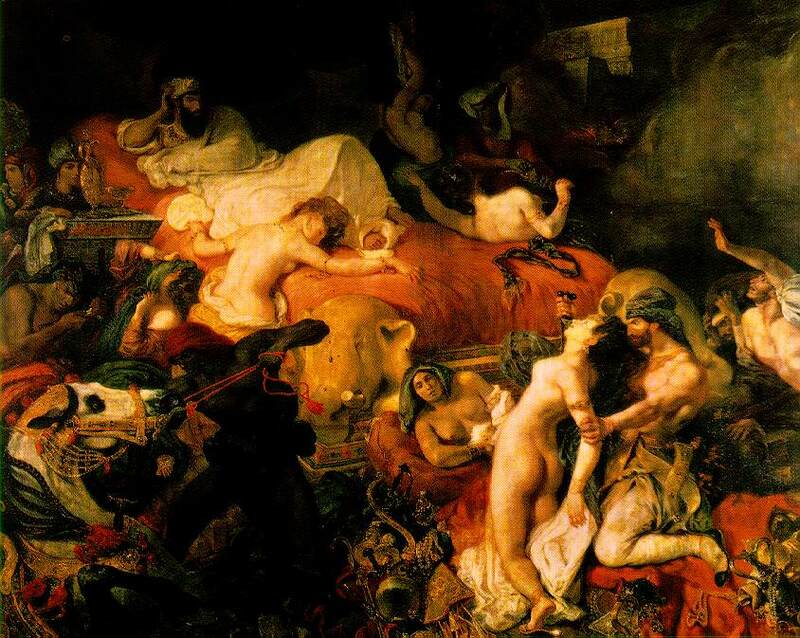 The poetry of Lord Byron inspired a painting for the 1827 Salon, Death of Sardanapalus . 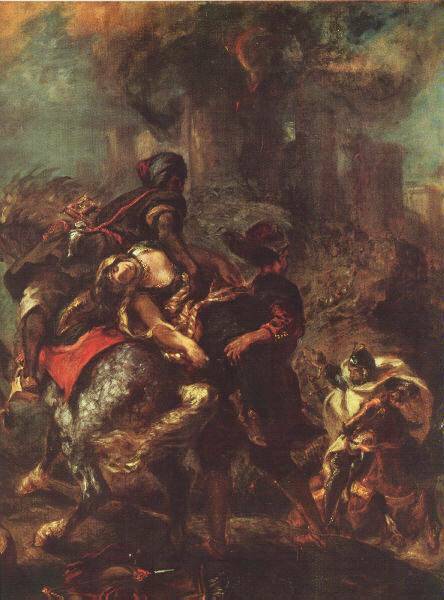 Delacroix also created a set of 17 lithographs to illustrate a French edition of Goethe's Faust . 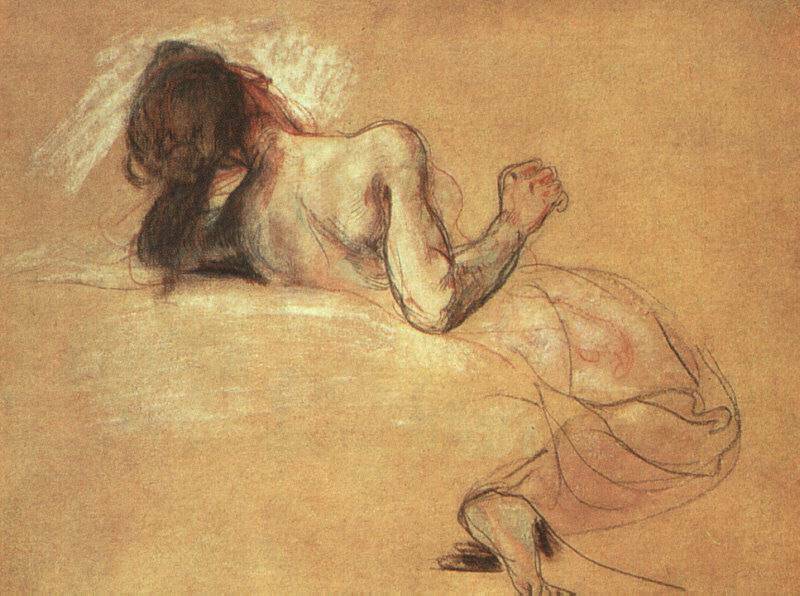 Study for "The Death of Sardanapalus"
The French revolution of 1830 inspired the famous Liberty Guiding the People , which was the last of Delacroix's paintings that truly embodied the romantic ideal. 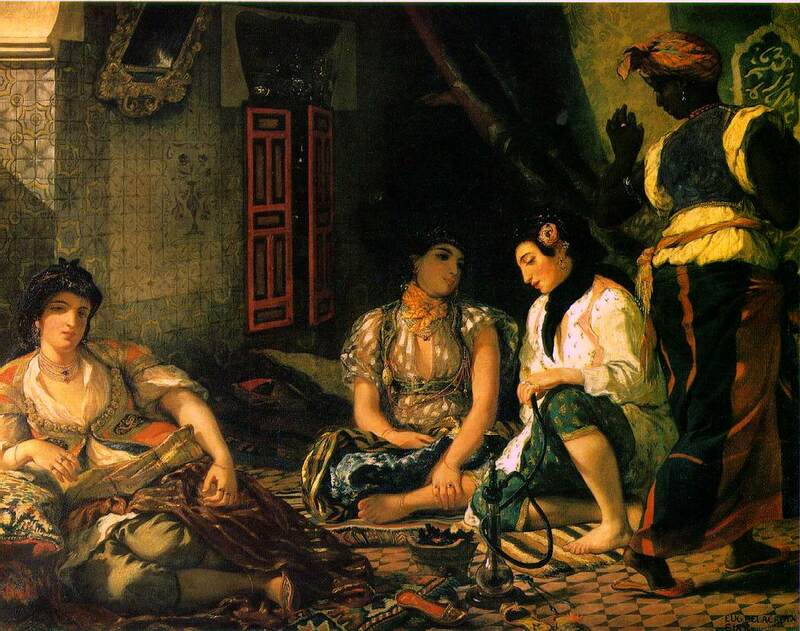 He found new inspiration on a trip to Morocco in 1832. The ancient, proud, and exotic culture moved him to write "I am quite overwhelmed by what I have seen." 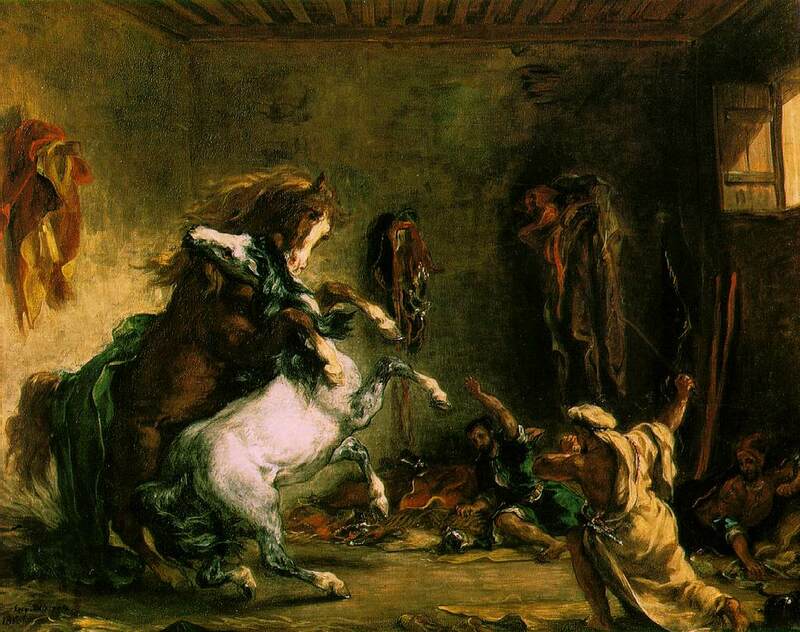 In 1833 Delacroix painted a group of murals for the king's chamber at the Palais Bourbon. 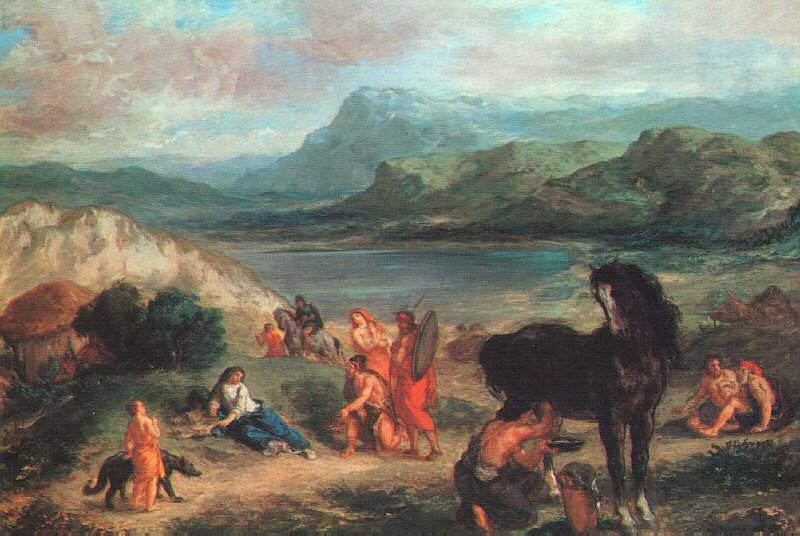 He continued doing this type of painting, including panels for the Louvre and for the Museum of History at Versailles, until 1861. Much of the architectural painting involved long hours on uncomfortable scaffolding in drafty buildings, and his health suffered. He died on Aug. 13, 1863, in Paris. His apartment there was made into a museum in his memory. 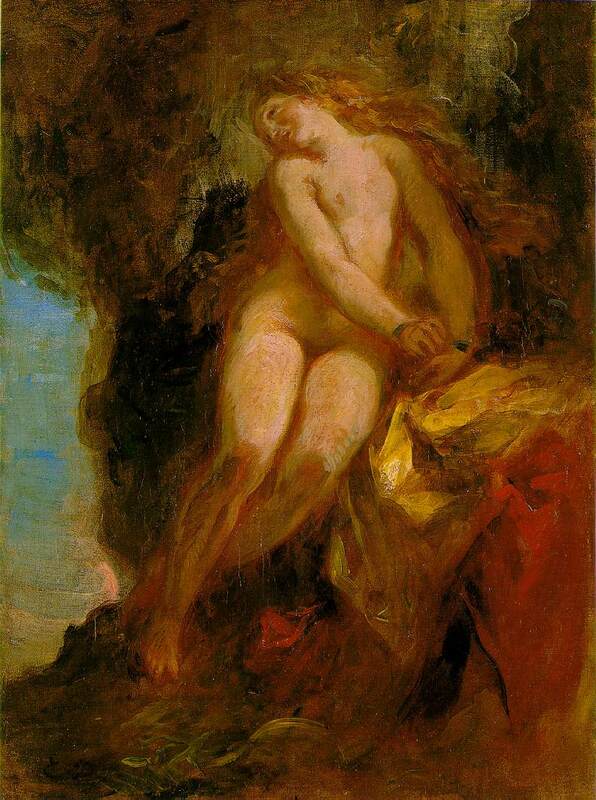 1863 (160 Kb); Oil on canvas, 92.5 x 74.6 cm (36 3/8 x 29 3/8 in); The National Gallery of Art, Washington, D.C.